At Ozier Orthodontics, we take pride in the gentle, effective orthodontic treatments that we provide. Dr. Mark Ozier and our highly trained, friendly orthodontic team love getting to know our individual patients, and developing lasting relationships that extend beyond the treatment chair. We want to hear about your lives, plans, adventures, and what’s new in your world. Each day at our office brings new opportunities for us to learn and develop these relationships, making each day exciting and fulfilling. We strive to develop healthy, open lines of communication. We're always available to answer questions, provide guidance, and respond to our patients’ concerns. We want to assist you in reaching your orthodontic goals of straight teeth and a lovely smile. In order to reach that goal, we will work with you to develop an individual treatment plan because we understand that every patient’s mouth is different and there is no single treatment approach that is right for everyone. Dr. Ozier is the proud father of six children; he understands what it means to work with younger patients and how to best approach their concerns. He has a gentle touch in the treatment chair and makes his patients laugh during each visit, ensuring that each appointment is eagerly anticipated instead of dreaded. 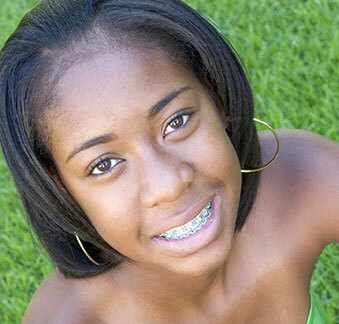 We want to make it as easy as possible for our patients to pursue their orthodontic care. Understanding that it is not always easy to make it to appointments during normal business hours, our orthodontic office offers both early morning and later evening appointments. Our orthodontic offices are places where patients are able to relax, feel at home, and know that they are going to receive excellent care with a personal, human touch. For more information about our orthodontic services and to schedule a complimentary consultation, please call our Frisco, TX, or Plano, TX, orthodontic offices. We look forward to meeting you and helping you achieve a perfect smile — one that will last forever. Ozier Orthodontics is your experienced Frisco and Plano, TX orthodontist. Call our office today to schedule your first appointment!